Authors for Indies Day is Saturday, May 2! Nationwide celebration that is Authors for Indies Day! 10:00am: Story Time for Children with Rachel Eugster, Susan Atkinson & Elizabeth Todd Doyle. 12:00pm: Author Meet ‘n Greet with Allison Van Diepen, Max Turner, Pearl Pirie, and Sherrill Wark. 1:00pm: Author Meet ‘n Greet with Emily-Jane Hills Orford, Nicola Vulpe, Susan Taylor Meehan, and Sarah Jennings. 2:00pm: Author Meet ‘n Greet with Catina Noble, Benoit Chartier, and Jean Boisjoli. 3:00pm: Author Meet ‘n Greet with Susan Delacourt, Alex Binkley, Mike Young, and Barbara Fradkin. Not only will you get a chance to chat with some of your favourite authors, meet great new authors, and buy some fabulous books, but you’ll also get the opportunity to enter multiple draws for books, gifts and Books on Beechwood gift cards. Light refreshments and snacks will also be served. It will be a wonderful day and we hope that you’ll all be able to make it in for a visit! On Wednesday April 29th, we are very excited to be welcoming Helen Humphreys to the store. 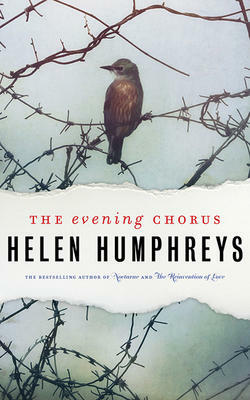 She will be here from 6:30pm to 9:00pm, and will be reading from her new novel The Evening Chorus at 7:30pm. Light refreshments will be served. Admission is free. No sign up ahead of time is required. We look forward to seeing you all at this exciting evening! Please note that, on the afternoon of Sunday April 26th, customer service will be interrupted for about 2 hours sometime between 12.00 and 4.00p.m and access to the store will not be possible.. This is because the bookstore is being used for filming a scene in a movie. We apologize for any inconvenience. Thursday, April 28th. is the UNESCO sponsored World Book Day and we’ll have a one-day sale with 25% off all books to mark the occasion. The day was selected to coincide with the anniversaries of the deaths of William Shakespeare, Miguel de Cervantes and Inca Garcilaso de la Vega. It is celebrated world wide on that date except in the United Kingdom where it was moved to the first Thursday in March! This is a thrilling account of the sinking of the Lusitania – how it happened and the people it affected. 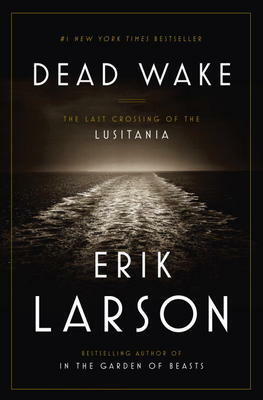 The author, Erik Larson, has already published four best-sellers in which he fuses history and entertainment to give a vivid account for what took place. In Dead Wake, the fastest liner in service set sail from New York bound for Liverpool on May 1, 1915, when World War I was entering its 10th month. Larson explains that the passengers on board were not anxious about the war even though Germany had declared the seas around Britain to be a war zone. The captain of the Lusitania was confident that the gentlemanly strictures of warfare, which forbade the attacking of civilian ships, would hold up as they had for a century. Germany wanted to change the rules and the captain of one of their U-boats was happy to oblige. As the Lusitania and the U-boats made their way to the shores of Ireland, Larson introduces us to some of the passengers: a famous Boston bookseller, a woman architect, and President Woodrow Wilson among others. 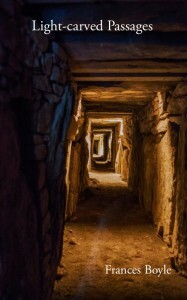 The liner was also carrying a record number of children and infants. When the sinking comes we are completely involved in the people aboard and the actual event is unforgettable. It gives Erik Larson another fine book. This is a charming book about bookstores across the United States that are favorites of some of the best-known American writers. There are 36 states in all represented, with delightful illustrations of each bookstore described here. John Grisham, for example, lives in both Virginia and Massachusetts but chooses to write about “That Bookstore in Blytheville” which is in Blytheville, Arkansas. This is near the town where Grisham was born and when he came to introduce his own first books, the owner gave him a welcome which he has never forgotten. Another best-selling author, Simon Winchester, lives in New York City and Massachusetts. He writes about “The Bookloft” in Great Barrington, Mass., which he loves for its highly knowledgeable staff and huge selection of books. 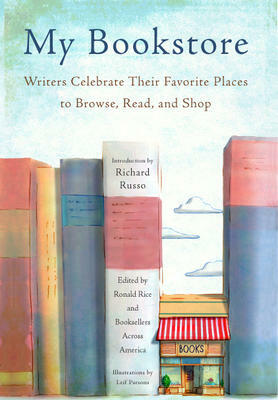 This book is about American bookstores but writer Richard Russo mentions Canada in the Introduction when he says: “independent booksellers always get the word out, and with their help great young writers you don’t know about yet will take their place on shelves next to their heroes, from Margaret Atwood to Emile Zola.” In the Afterword, writer Emily St. John Mandel, who spent part of her childhood in Victoria, British Columbia, writes “when I was a child I was in love with Laughing Oyster Bookshop, the wonderful independent bookstore that’s still my favorite shop on all of Vancouver Island.” It would be nice if someone wrote about bookstores in Canada; then we could discover who declares “Books on Beechwood” their favourite. 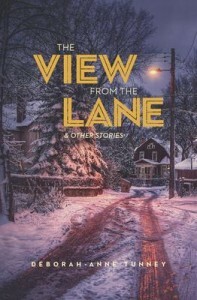 Deborah-Anne Tunney and Frances Boyle will be here on Saturday, April 18 from 1:00 to 3:00pm to sign copies of their new books The View from the Lane and Light-Carved Passages. At the Water’s Edge is a novel contrasting the rich, privileged life of Philadelphia in l944 with the struggle for existence in a remote Scottish village where the war affected everyone’s lives. The story focuses on Madeleine, a young woman from Philadelphia who recently married a draft dodger named Ellis. He had enraged his father, who cut him off financially. Along with their friend Hank, they decided to make the trip to Scotland and try to find the Loch Ness monster, which his father had failed to discover. The three of them settled in an isolated inn in the Scottish Highlands, where the locals are short of food and fuel, and hold the visitors in contempt. Gradually Madeleine makes friends and helps with the work at the inn. She discovers quite different values in the people she gets to know and falls in love with the beauty of the country as well as the courage of its citizens. 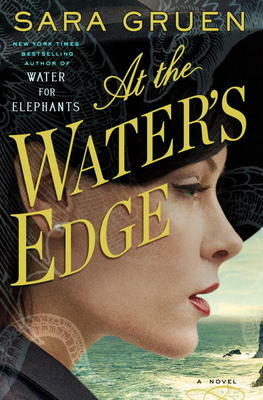 It’s a well-written book by Sara Gruen, who has also written the best-selling Water for Elephants, Ape House, Riding Lessons and Flying Changes. She lives in North Carolina with her husband and three sons.